If you believe in the 1-minute workout, then you already know that a little bit of physical activity can go a long way. And by little bit, I really mean a little bit. Spinning your pen around, tapping your toes or bouncing your knee isn’t going to win you any Olympic gold medals, but more and more research suggests fidgeting can make a noticeable difference in your health. 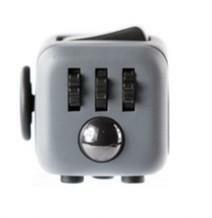 For those who can’t help but fidget, there’s now a gadget designed and made just for you, the Fidget Cube! 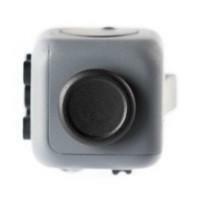 It’s specifically designed for people who can’t keep their fingers still, and whether you’re a clicker, a flicker, a roller or a spinner, the cube has something in store for you. 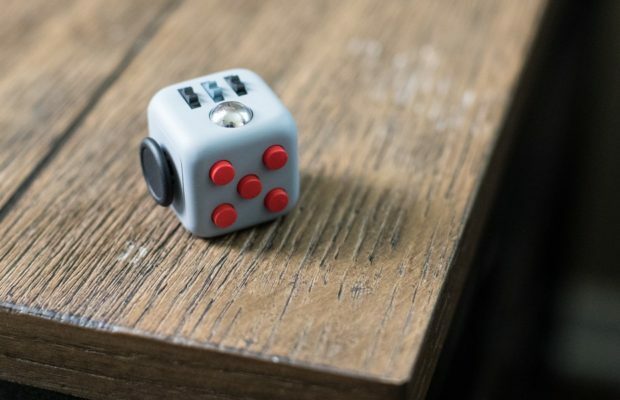 What Exactly Is The Fidget Cube? 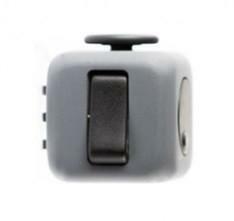 The Fidget Cube is a 6 sided, addictive cube that may enhance your ability to focus throughout the day. 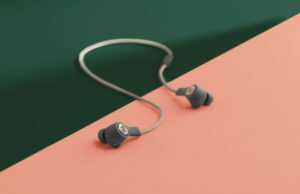 This is a device engineered to offer the most tangible way to hold your attention whether you fidget consciously or subconsciously. Some people like fidgeting with a pencil or a key ring and others like using worry stones or baoding balls. 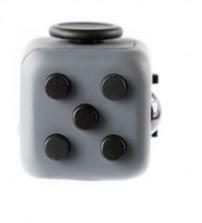 The fidget cube is a unique stimulating device that combines all these tools in one. 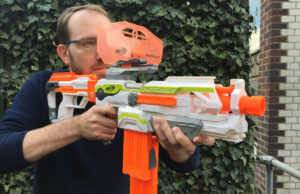 It is designed to to keep you anxiety free and is the perfect stress relief toy. 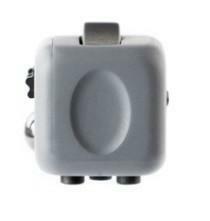 It’s a cool looking cube that you can bring along wherever you go. Keep it on your desk or even bring it with you to school! The face of this cube is all about rolling away the stresses in life. The addictive gears are built in to mimic a combination lock such as ones on a briefcase and the ball on this face is similar to Baoding balls, an ancient Chinese method which helps improve finger dexterity and can also help improve stress as well as brain function. This yin yang face allows you to flip back and forth a light switch feature which gives your mind a balance like night and day. Sometimes it takes a flip of the switch in order to flip your life around. For those who love pushing buttons, especially for pen-clickers. 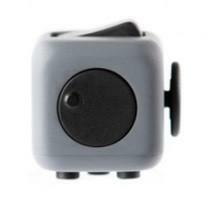 This side of the cube has 5 buttons which can help your curiosity take flight. This self soothing exercise is the key to relaxation and anxiety relief. It has a smooth and unique thumb-sized impression similar to worry stones. It allows you to press your thumb back and forth across it to help you confront your stress and anxiety. This lever emulates a toggle in a game and can be moved in multiple directions to help you dodge your obstacles in life. 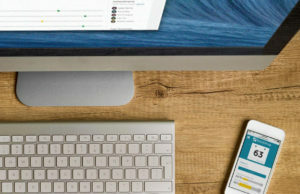 Take control of your stress and glide with action because you don’t have to be into games to enjoy this feature. This cool feature spins around magically as you twirl it around with your thumb and is the perfect for those who love to fidget with their key rings. It feels real cool in your hand like ice cubes melting away your stress and now you can finally getting relief! When it comes to colors, there’s plenty to choose from! 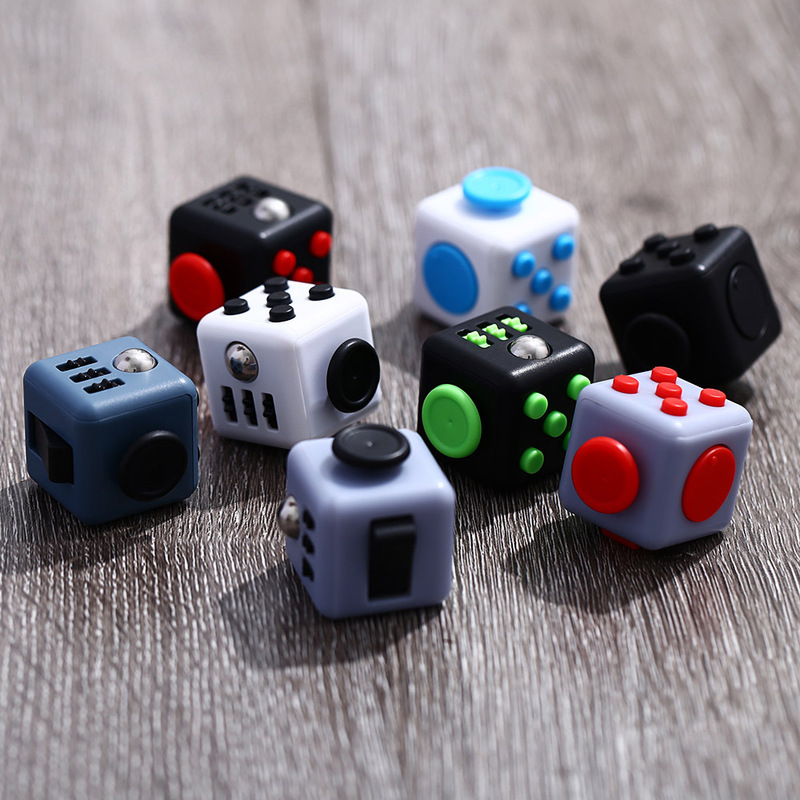 The Fidget Cube comes in all colors and designs ranging from simple solid colors (white, black, blue, etc..), to special edition designs (camouflage, wood grain, zebra skin, etc..). The color options are only going to increase over time seeing the amount of cubes that are being sold. Zen Cube currently have an offer you don’t want to miss out on! For a limited time only, get 10% off your purchase by using the promo code NewOffer12 when checking out. To make things even better, with every order you’ll get free worldwide insured shipping (which is awesome) and the delivery time is roughly 2-3 weeks, depending on your order’s quantity and location. To learn more about Zen Cube, please visit their website or check them out on Facebook and Instagram.